Last month, the Conference of Bishops solicited feedback on the documents, which was shared with the council. We heard from many rostered ministers and candidates who were frustrated that there was not a process for diverse voices to give input on the statement. The Church Council welcomed all of the many visitors who wished to speak about the “Trustworthy Servants” document. Council members clearly heard the pain experienced by many around “Visions and Expectations” and also the frustration with the process to develop a replacement. After much conversation, the council decided not to adopt “Trustworthy Servants of the People of God” and refer the document back to the ELCA Domestic Mission Unit for review and redrafting. 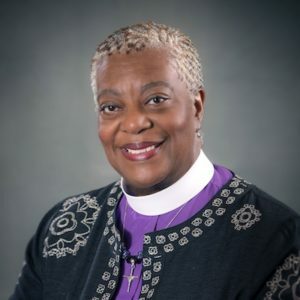 The council explicitly stated that this consideration should involve a process that intentionally includes diverse voices from around the church. In the meantime, the “Visions and Expectations” document is still in force. I know that some of you are heartened that the council has opted for a more inclusive process. Others of you are disappointed that a new document has not, for now, replaced V&E. Still others, I’m sure, wonder why this is a matter for concern. I had hoped that the council might adopt “Trustworthy Servants” as a temporary step while the church in all its diversity re-drafted a more inclusive document. The council elected to maintain the status quo while the church considers a new statement. So, what does this mean for the saints in the Southeastern Pennsylvania Synod? First, we affirm the goal of both documents, which is to ensure that our congregations are safe, respectful environments for all to hear and live out their faith, and to help rostered ministers serve with faithfulness to the Gospel and personal integrity. Second, we are grateful for the gifts brought to the church by our members, candidates, and rostered ministers regardless of who they love, the color of their skin, their gender preference, or their ethnic background. We do, and will continue to welcome diverse people into our mobility and candidacy processes. For the time being, we are grateful for the way that our ELCA leaders, including Presiding Bishop Elizabeth Eaton, Vice President William Horne, Bishop William Gafkjen (chair of the Conference of Bishops), and all the other participants who have shown great love for and commitment to this church and who demonstrate how to be church together throughout this process. As we enter into this most Holy Week, I ask you to join me in prayer for this ongoing discernment, for all of our rostered ministers and candidates, and especially those who are experiencing pain and frustration due to this extended time of uncertainty.